Dynos – so what do they really do? 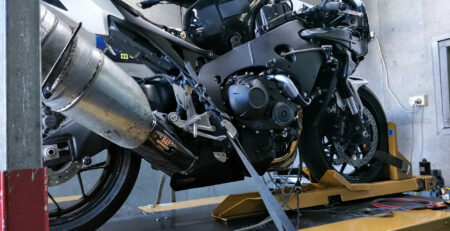 Aside from measuring horse power what use is dyno tuning? If you go back 30 years nobody supposedly needed one to tune a bike, it was all done by the seat of the pants, reading spark plug colour and a good ear. I say supposedly because it wasn’t a simple task even then and was looked upon by most as an art. Personally I found the best way was to go to a race track with lots of spark plugs and expect to spend most of the day reading plug colour, talking to the rider (if it was a race bike) to interpret what they were feeling, reading weather stations and making lots of notes. By day’s end the job would more or less be done. However re-jetting a road bike was a whole different matter. 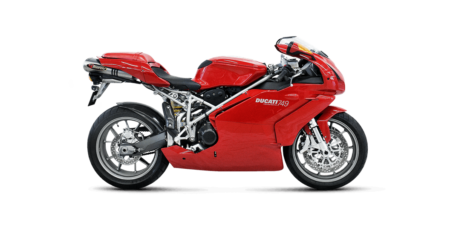 Just imagine trying to do a plug chop by galloping up the highway at 250 km hour with the throttle wide open – get the picture? Do that maybe 20 times, pulling carbs apart on the side of the road and changing jets and needles. It wasn’t easy; there was a lot of hit and miss. Back then there was no other choice, dyno machines were very expensive, and there weren’t any computer systems to drive them so everything had to be plotted on graph paper by hand. Yes there was a place for them but the technology at the time was not cost effective. Today’s world is driven by technology making test equipment not only imperative but also more affordable. The hardware on “Dynojet” dynos has been around for at least 50 years. They utilize an electromagnetic brake commonly known as an “Eddy Current absorption system” (or electric brake) to control the wheel speed, rate of acceleration etc. The key here is the software systems that control it while also measuring the room air temp, air pressure, and humidity to calculating power, torque and air fuel ratio’s with great accuracy and consistency, run after run, day after day. For veteran spannermen like me this is exciting because it takes away all the guesswork. We can now make a decision based on the facts in front of us and this is where a good dyno tuner will save time and heartache blindly chasing a problem believed to be fuel related when it is actually electrical or mechanical. And of course it saves the customer heaps, too! Measure horse power fine, top speed fine, speedo accuracy fine; within a tenth of a kph, in fact. Chasing a misfire at 5000 rpm, is it fuel related, ignition or something else… if you have low tyre pressure the horsepower will drop, why? More friction on the road means more work for the engine, less power higher fuel consumption. Same thing happens if chain and sprockets are below par; if not lubricated properly, you end up with more friction which equates to less power delivered to the back wheel, and resultant poor fuel economy. In the right hands with someone who has experience and knows what they are looking at – this thing will almost tell the time of day, well actually it does. No one can hide from this bad boy. 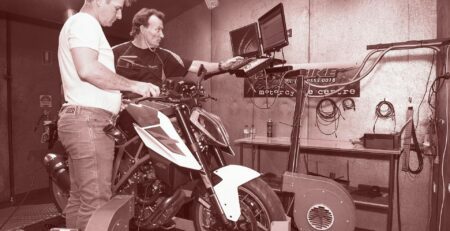 It’s become a tool of the trade and by being able to measure rear wheel rotation and simulate on road conditions it will tell you a lot more than just peak horse power. Nowadays we can measure time over horsepower, or torque, or speed. So forget about asking how much power your bike makes, ask yourself how long it takes to travel one km at full throttle or how quickly do the rev’s climb to red line in seconds. Peak horse power figures do not determine this! Should I put more or less oil in the engine and how does that effect the way my engine runs? What temperature range should this bike run at to maximize its potential, (for a racer this is very important) How can I improve my fuel economy and make more horse power? (Road and recreational riders). If you’re a racer where is my optimum gear change point? I can tell you now it’s not red line. As a race engineer we pour over this stuff to work out how to get the best out of the engine without doing any tuning work. Having correct oil level makes a big difference to engine drag improving acceleration, torque, power and economy. Optimum gear change points are not at red line, gearing changes to optimize maximum torque for peak acceleration is what gives you more speed, not hitting red line in every gear. The only way you are going to find any of this information is to dyno your bike. Two or three runs is all you will need to collect the data and it takes less than an hour. Change the exhaust and it will tell if it’s better or worse and in which part of the rev range. It will measure ignition timing changes, cam timing changes, fuel additives, oil additives or anything else that claims to be an improvement in economy and power, it doesn’t lie and it’s not bias. In other words no one can hide from it not even the self-proclaimed tuners or sales people of this world. It may surprise you to know that good tuners spend very little time looking at and analyzing peak power and torque figures because they know that only occurs at maximum revs for a split second. It’s the rest of the power curve that gets all the attention, especially low throttle openings where you need the power to be smooth and controllable to allow you to open the throttle aggressively and give the rider a smooth transition from closed throttle to open. No matter the application – road, race, cruiser – it’s always the same. 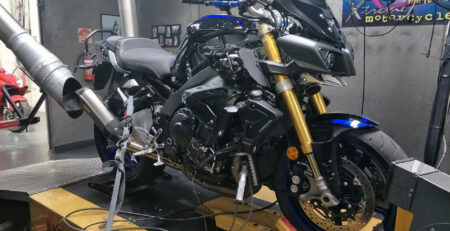 The tuner is looking for controlled throttle response, aggressive when required and smooth right through the rev range. But most importantly it must be smooth through the mid-range, because no matter how you ride that’s where you spend most of your time. Get that right and you will leave everyone to wonder how you pulled away so quickly and easily and still have superior fuel economy. Hopefully you now have a better understanding of dynos and the potential they offer. So stay tuned because next week we’ll look at some typical everyday problems and show how a dyno helps to highlight and solve the problem in the next installment of this 4 part article.